Valentina, reviewer for Midwest Book Review, has posted a very kind review of The Lost Queen on her blog. I have to say, I am humbled by her generous words. I always enjoy hearing and reading responses to my stories. Thanks to everyone that loves reading them too! Valentina says, "The characters truly shine in this one. They jump off the page, with Zandria leading the way." Click HERE to read the full review at Carabosse's Library! Now when he is out, he can produce a card that has all his work on it if one of his many fans is wondering if and how to get to his work, BAM! He pulls it out the card; they snap a picture of the code on their smartphone and purchase his work, anywhere he goes. One click, one stop shopping, right from the author, straight to their Amazon Kindle account. He can be anywhere, doing just about anything, and he is able to sell ABEL. I would call that a pleasant customer experience, personal service right from the author; there is no better way to sell. The uses and applications of this are many and we plan to implement as many of these as possible as quickly as possible. I am also planning on placing them on my cover art that we use in promotions, so you the customer can just zone in on it, and buy it immediately, right from Amazon Kindle , no need to do anything else, it, the QR code ,takes you right to your Amazon Kindle account right from your smartphone. Cutting edge, sure, but that is what we pride ourselves on here at Trestle Press. Our authors are not just getting used to it, but expecting it. We LOVE to build and make connections that bring our authors and their readers closer together. I have, in my writing career, come to be associated with some truly amazing people. The list is too long to name them all and I wouldn't want to forget anybody. Let me say these are not only talented people in the world of books (authors, publishers, promoters), but also some terrifically kind and generous folks. These are people that work hard and always have a positive word. There is one person I would like to single out and call my friend, although we have never met face to face. Giovanni Gelati is a blogger, book reviewer, author, publisher, promoter and graphic artist. He is affirming, generous and supportive, but also aggressive in helping his friends/authors with their promotions. You may find his reviews of my work to be a little bias based on what I said above, but I am humbled by his kind words of my two most recent releases. Daniel's Lot is my adaptation of the faith-based motion picture about a man tested in his personal and professional life. He turns to his faith and finds an amazing answer. The movie is available on DVD and soon to be on syndicated cable TV. Meant To Be is the debut story for Mark Miller's One, a spiritual anthology of true stories. The series, which I am honored to headline for Trestle Press , will explore beliefs from around the world and how we all must live on this one planet. Thank you for taking the time to give them a read! The premiere story of my new series releases today. You can read Meant To Be for ONLY 99 Cents! Mark Miller's One, exclusively from Trestle Press , is an exciting e-book series that will feature a variety of authors sharing their personal experiences with their faith. The series will focus on many different beliefs. The authors want to share true stories of inspiration and emotion. Hopefully, the stories will be eye-opening and remind us that we all have to share this One World. In Meant To Be , the debut installment, I lay the groundwork for the series and share a personal story. I tell the unbelievable tale of how I met someone special and very important to me. For ONLY 99 Cents, read a touching story and put some inspiration on your Kindle ! Put some faith on your Kindle! Daniel's Lot is now available from Trestle Press on Amazon Kindle . This Kindle version is Mark Miller's adaptation of the Dove Foundation award-winning motion picture starring Gary Burghoff of TV's M*A*S*H , now available on DVD and soon to be on syndicated cable. Sometimes, our lot in life is just what we need. Meet Daniel Carr, a down-and-out man who divides his days between working a dead-end job and arguing with his wife, the owner of a failing real estate business. Though the answer to his family's financial struggles appears to be a valuable piece of commercial property Daniel has inherited, he remains bound by his promise to his late father to hold on to the land until "the time is right." Finally, losing his job, prompts his wife, Christy, to abandon Daniel and his "sappy Christian stuff." A chance meeting convinces Daniel that he must be obedient to God's plan for his life, but will Daniel's obedience cost him everything? A powerful story about faith, love, and redemption, Daniel's Lot portrays the struggle to follow God's direction while fighting to keep one's family and integrity alive. Here's a first, I'm reviewing another author's book. Normally, I am working hard to get a reviewer to read my books. Then there's the whole "raising four kids" thing. Rarely do I have time for leisure reading. I literally have a stack of books waiting for me. So my oldest daughter came home from school (yes, several months ago) carrying a book with the most intriguing cover. It was Dan Poblocki's The Stone Child . She read the thing in two days flat. She said it was the creepiest book she'd ever read and this is coming from an Official Member of the American Chillers Fan Club. After she finished, that cover kept calling to me. Mostly black with a hint of blue light surrounding the statue of a child. She holds out a book, beckoning the reader to peak inside. It wasn't until after I had a few chapters down that I noticed the creatures wrapped around her feet. This cover pulled me in, much the same as the pendant pulls in the two different authors in the story. For a writer, I am one of the slowest readers you will meet. It took me more like two weeks to finish the book, as opposed to my daughter's two days. Don't take that the wrong way though. I completely enjoyed The Stone Child . Basic plot: the outsider, Edgar Fennicks, moves to Gatesweed, an unfamiliar world. We get to know Eddie over the first couple chapters as he is set up to be the classic underdog. We get several hints that things are not right in this town and Eddie discovers an unusual book, hand-written in code, by his favorite author, who also happens to have vanished from this very town. The story begins moving once Eddie meets Harris, the son of the quaint, local bookstore owner. Eddie and Harris embark on a quest to unravel the code and hopefully find the missing author. With the help of another outsider, the quirky Maggie, the three junior detectives encounter a menagerie of creative monsters.The Woman in Black is the most effective as her vagaries torment both Eddie and the missing author whether they are awake or falling through a nightmare. Things that worked for me: The suspense; The monsters; The Lilith mythology; The setting came alive and I could feel Poblocki's passion for the North Eastern countryside, especially when they went to pick apples; And a genuine mystery that the characters and the reader solve together. Things that didn't work for me: Maggie's extremely simple solution to one of the key elements of the mystery (trying to avoid spoilers); Never knowing Eddie's parents' names - for some reason, this kept me from totally connecting with Eddie. He thought of them as Mom and Dad, but I wanted to see them as adults since I am an adult reader; Being an adult leads to the final thing that didn't work - the font, parts of the story are told from the missing author's hand-written work. While an immersing technique, my eyes are not as sharp as my ten year old daughter and on a few late nights, I had a little trouble with the cursive. Overall, for being a scary story that bigger kids can read, I say 5-stars. It is a creepy fun read of Good VS Evil and kids VS monsters. To paraphrase Nathaniel Olmstead, "this story has a jolt or two, which is all anyone really needs to remember he's still alive." 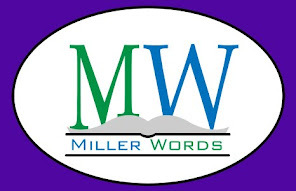 Mark Miller is the author of The Empyrical Tales fantasy adventure series from Comfort Publishing . Book 1: The Fourth Queen and Book 2: The Lost Queen are available now.Miller has also co-written A Prince in Trenton, Seriously? with Giovanni Gelati as part of Trestle Press 's Author's Lab and will be headlining the upcoming inspirational anthology, Mark Miller's One. He has a background in motion picture production and elementary education. Follow his blog at EmpyricalTales.blogspot.com or find him on Facebook at Facebook.com/EmpyricalTales.